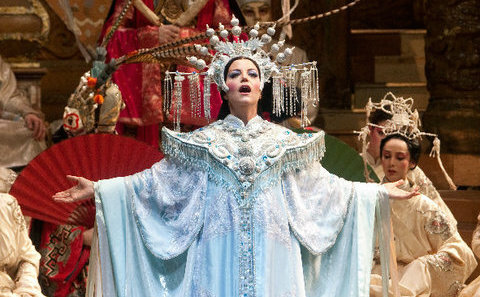 As part of the company’s 2015-16 season, announced earlier today, Lise Lindstrom returns to the Metropolitan Opera this autumn for a revival of Turandot. The American soprano, who made her Met debut as Puccini’s deadly princess, sings six performances of the role October 22 through November 7. She stars opposite Leah Crocetto and Hibla Gerzmava as Liù and Marcelo Álvarez and Fabio Sartori alternating as the Calaf, all under the baton of Paolo Carignani and in Franco Zeffirelli’s sumptuous production.